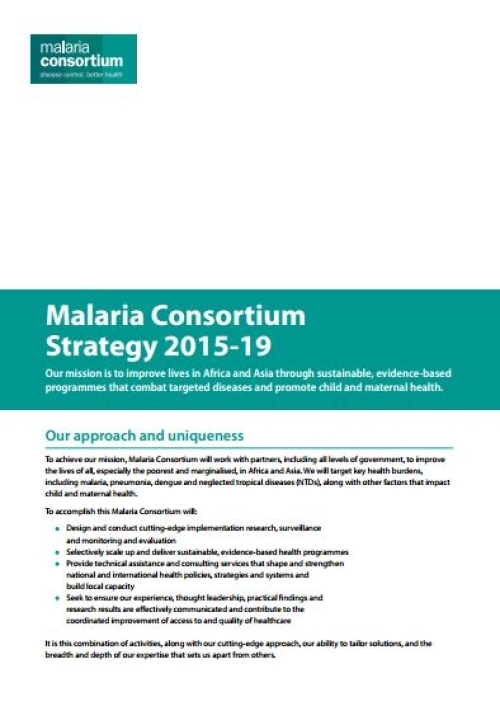 This strategy brochure details Malaria Consortium's five-year strategy, incorporating five key goals against which we will measure our success. To achieve our mission, Malaria Consortium will work with partners, including all levels of government, to improve the lives of all, especially the poorest and marginalised, in Africa and Asia. We will target key health burdens, including malaria, pneumonia, dengue and neglected tropical diseases (NTDs), along with other factors that impact child and maternal health.